Welcome to Linni Sisters, Inc! The Great Needlepoint Pillows and Aubusson Pillows wholesaler. 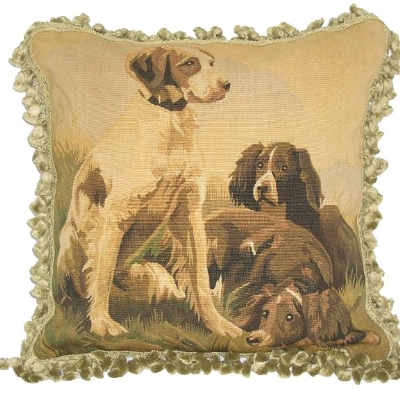 We are one of the fastest growing needlepoint and aubusson pillow wholesalers in the United States. Averaging up to thirty new designs each trade show. Our designers work with great diligence to produce extraordinary designs and our manufacturers work at their finest to deliver the upmost quality Needlepoint pillows for our customers. We proudly invite you to visit our website for the new designs of needlepoint pillows and aubusson pillows and also encourage you to attend our trade shows and personally experience our elegant Needlepoint pillows. Thank you so much for your business. Hope you enjoyed these new samples of our needlepoint pillows and wish to see you at our upcoming shows!